A Reddit user with the handle name “Cjrobe” who uses Facebook Messenger regularly to share his private files and links with his brother has claimed that his recent private data was sent to Facebook employees instead of his brother. According to Cjrobe, it all began when he sent a Google Sheet link comprising of his work portfolio with “anyone with the link can view” permission to his brother through Facebook Messenger using his web browser. However, the link displayed an error, “Sorry, this feature isn’t available right now” instead of getting delivered to his brother. It yielded the same result for Cjrobe when he tried sending the link after a while. Cjrobe shared a screenshot that shows Facebook marking the link as a spam, blocking him from sending the link to his brother and from sending any link for some time. According to him, the time limit was placed on the link so that the Facebook “employees” could manually check, scan and approve it. He claims to have a proof proving this, as the file was sent by him was set to “anyone with the link can view” permission that allowed him to track who is viewing the file. He found that two anonymous users were browsing his sheet. Thinking that the file link may have been delivered to his brother and it may be him who was viewing the file link, he went to his chat history to confirm the same. But, he found that none of the messages were delivered to his brother nor did he open the file link. The users of the file went away when Cjrobe tried to chat with them. However, the file link was delivered when he tried sending the link again to his brother through Facebook Messenger. According to Cjrobe, the “time limit” was set for the Facebook moderators to examine the file link before allowing it to deliver or block it permanently. 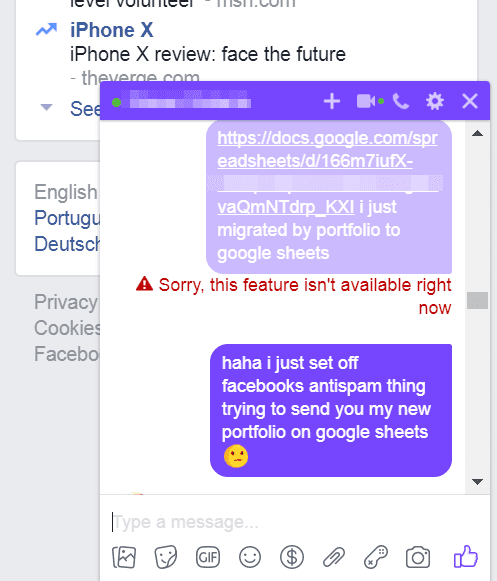 “I went back to my Google Sheets and saw TWO anonymous users browsing my sheet. Screenshot. I went back and double checked my chat history, and none of the messages went through, and my brother hadn’t opened it. 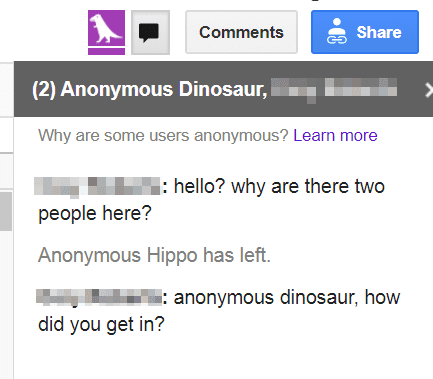 I tried chatting with them, but they left pretty fast. After this, I sent the link to my brother again… and it worked. I guess the “time limit” had passed,” Cjrobe wrote on Reddit. 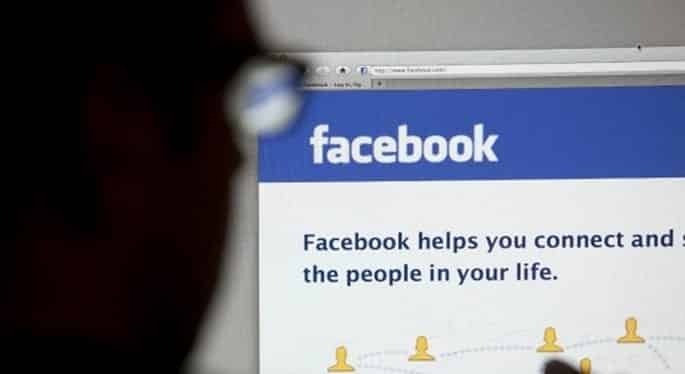 In 2015, a security researcher had claimed that Facebook uses a code that keeps track of every time the user deletes a would-be message and sends metadata about that message back to its own servers. Do you think that Facebook employees are keeping a watch on our personal data or is it just a technical glitch, let us know in the comments section below.